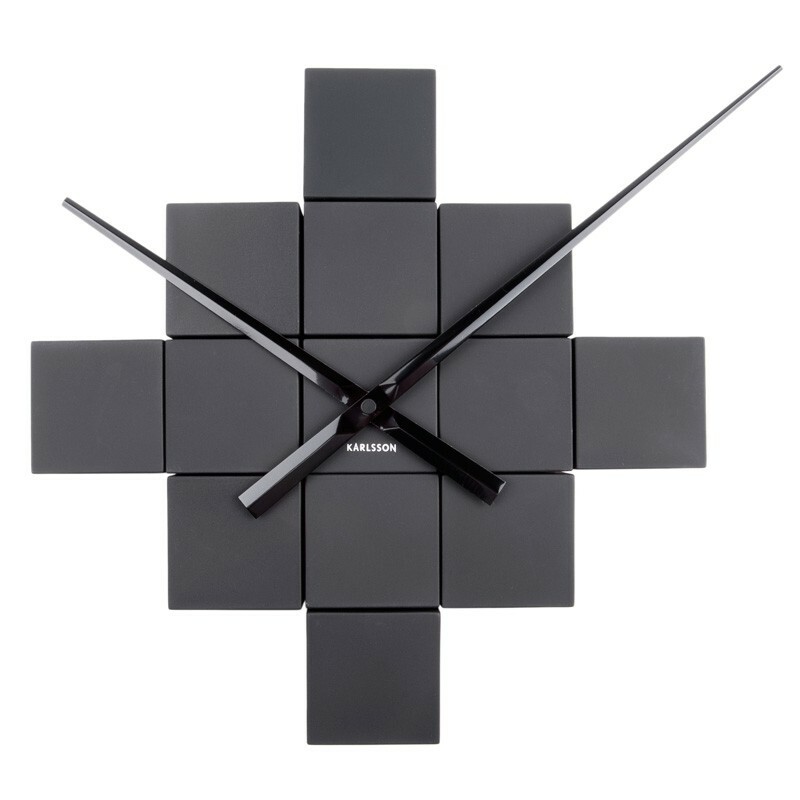 This impressive Karlsson DIY Cubic Wall Clock in Black will turn a dull wall into a stylish architectural display in an instant! Designed by BOX32, it comes with a set of 12 black cubes for you to experiment with as you choose a layout that suits your personal style, as well as your space and your décor. The silent movement is cleverly concealed in another small cube, powered by a single AA battery to set the two glossy black hands into motion. As they glide across the wall, they reveal the Karlsson logo discreetly printed underneath, as reassurance that this much-copied design is the unrivalled original. See more colours in the DIY Clock range on the right - including copper and gold!